While the launch of Splatoon 2 is less than 3 weeks away, it seems that Nintendo still has some stuff to talk about. As such they’ve announced yet another Nintendo Direct, which will take place on July 6th, 2017. What exactly will Nintendo talk about? We wish we knew but we’re just as much in the dark as you are. 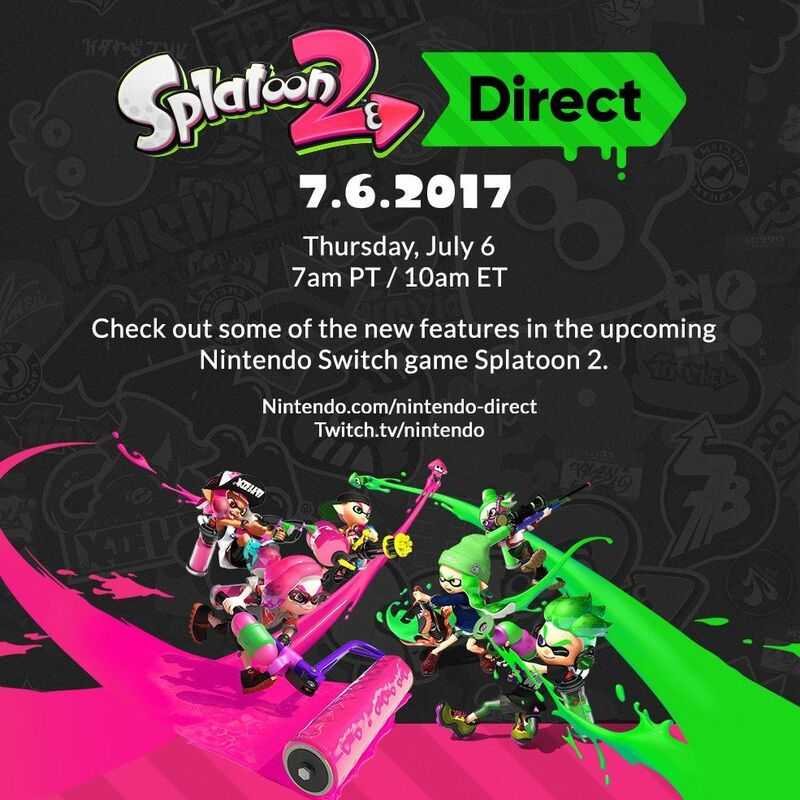 Be sure to visit http://www.nintendo.com/nintendo-direct/07-06-2017 on July 6th, 2017, at 7 AM PT/10 AM ET, to watch the Nintendo Direct! That said, I can’t wait to see what else Nintendo has planned for Splatoon 2. Especially since the title is set to be released on July 21st, 2017. Can lightning strike twice for Nintendo’s ink-filled first person shooter? I can’t say for sure. However, if the global testfire’s are any indication, the title is going to be immensely popular, just as the original was is.